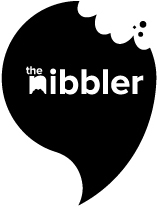 The Nibbler invited TryBooking’s CEO Jeff McAlister in for a chat, bubbles and a sauna. Read all the steamy details here. The great thing about my job is.. The variety of work I do which ensures that the days and nights always fly by. Exciting things like meeting clients and reviewing great events on our platform are just as commonplace as more routine administrative tasks. It’s great to have a job that is very well balanced in terms of locations and functions. It’s also great to work with the TryBooking founders Grant and Delma Dunoon who still have a passion for community events and what technology can do for the industry. The challenge for industry is..
To work with event organisers to find solutions to unique problems. Even though we run 10,000 events per week, our customer support team is continually providing support that is tailored and unique. We love hearing our communities’ challenges and working together on the best solution. Having two great kids, getting a well-rounded education, working constantly since I was 14 and not seriously harming myself while in my 20’s (I was quite clumsy and injury prone). The biggest thing in MICE this year..
the introduction of more technology to give patrons a better overall event experience, but particularly before and after the event which is full of headaches for organisers using traditional offline tools to manage events. I try to relax by..
Cycling to and from work – a great way to clear your head. The Caravan Music Club in Oakleigh – a great venue to listen to great artists. Another great venue is the Melba Spiegeltent. I’ve always wanted to travel to..
Scandinavia. I would love to do a bicycle or motorcycle tour in the middle of summer. I would also love to go back to Nepal for more trekking. I am scared to death of..
Heights (and high ticketing fees). Regular bike rides and also my Bose QC25 headphones – great way to get peace and quiet. I don’t even play music through them! I really wish I had..
A flying bike, why do we want flying cars? If I could invite four people to a dinner party, they’d be..
Bill Gates, Lance Armstrong, Elon Musk and Marissa Meyer. For anyone starting out in the industry one piece of advice I’d give would be..
To not always go along with conventional wisdom. It is easy to copy what others are doing, but harder to think of innovative new concepts. At TryBooking we believe that there is no harm in trying something new.